Date of Birth Certificate for Passport: No Need to Submit Birth Certificate to avail Passport. It is really good news for people who have no birth certificates but are seeking to get passports. The Parliament of India has today announced that Indian citizens do not need to submit the birth certificate to get the passport. The Government of India has confirmed that proof of PAN Card OR Aadhar Card and other required documents such as SSC Certificate/ Transfer Certificate/ Matriculation Certificate from the corresponding school is enough in place of the birth certificate. Also, aspirants applying for the passport have to submit the Voter ID/E-Aadhar Card/Driving Licence/LIC Policy Bonds etc as a proof of birth date. 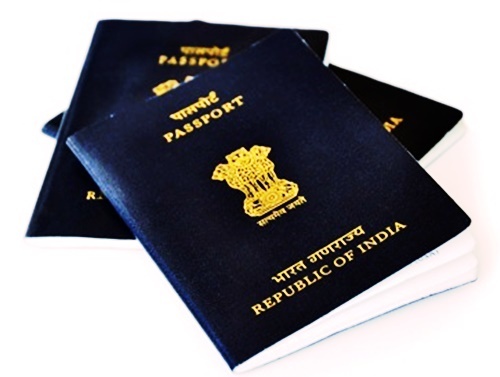 The government of India made the Indians hassle free in applying for the passport. Now, the Indian Citizens can replace the birth certificate with any of the above-mentioned documents. The Government has made a strict rule to submit the birth certificate for citizens born after 1989 January 26th. Now, the Government has done a little modification for the convenience of Indian citizens. Minister K V Singh has mentioned that the date of birth proof has changed due to various practical issues faced by millions of Indian citizens. Hence, the Indian Citizens can use the valid documents consisting their date of birth as a valid proof for date of birth from now onwards. Government employees may submit their pension records document copies as their proof of date of birth. People who are freshly applying for a new passport can mention any of father’s name/mother’s name/ legal guardian’s name while filling up e-passport. Or even they can fill the name of father and mother both. The Government has made this change for children who are living with single parenting. Children belong to orphanage can submit the date of the birth proof document from their orphanage/child care home. Married Applicants need not mention the name of the spouse if they have separated. Also, they need not submit the marriage certificate in case of divorce. A person need not submit divorce decrees or adoption certificates as per the updated rules and regulations. Also, citizens of India have offered with one more concern. They can even mention the name of their Guru’s if they wish to write instead of the names of family members. In this case, the guru’s PAN Card, EPIC, or Aadhar Card details to be filled.